The 32 metre superyacht Flying Fish spent three months cruising across the Great Barrier Reef while playing host to a huge team of scientists, who were on the hunt for breeds of 'super corals' that can withstand the higher ocean temperatures and avoid bleaching. The expedition, lead by non-profit group Great Barrier Reef Legacy, discovered new coral species in the far northern section, but the super coral species have been found growing across the entirety of the reef. Ten different teams from all over Australia were part of the expedition and now the data they collected will be studied in greater depth back on land. Additionally, members of the team on board successfully placed trackers on green turtles to see if their behaviour is altered by climate change, while others focussed on collecting live coral samples with eggs on them. These were sent elsewhere on the reef in time for the next spawning event so that they could crossbreed with species in the southern sections. While there are a lot of findings to be positive about, the expedition team did find more sites that have been heavily impacted by the bleaching events of 2016 and 2017. 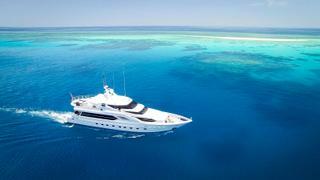 The 32 metre superyacht Flying Fish spent three months cruising across the Great Barrier Reef while playing host to a huge team of scientists, who were on the hunt for breeds of 'super corals' that can withstand the higher ocean temperatures and avoid bleaching. The expedition, lead by non-profit group Great Barrier Reef Legacy, discovered new coral species in the far northern section, but the super coral species have been found growing across the entirety of the reef. Ten different teams from all over Australia were part of the expedition and now the data they collected will be studied in greater depth back on land. Additionally, members of the team on board successfully placed trackers on green turtles to see if their behaviour is altered by climate change, while others focussed on collecting live coral samples with eggs on them. These were sent elsewhere on the reef in time for the next spawning event so that they could crossbreed with species in the southern sections. While there are a lot of findings to be positive about, the expedition team did find more sites that have been heavily impacted by the bleaching events of 2016 and 2017. Approximately 2.5 million square miles of ocean will be designated as "blue belt" territory, thanks to a new plan that will be rolled out by 2020. Human activities such as drilling, mining, tourism and fishing will be restricted in British territories, including the waters around the South Sandwich Islands, Pitcairn Islands, Ascension, Saint Helena, South Georgia and Tristan da Cunha. These areas contain a third of all albatrosses, the world's largest coral atoll, a quarter of the world's penguin population, crucial breeding grounds for endangered turtle species and the homes of a myriad of rare seabirds. A separate campaign is currently in motion calling for 30 per cent of the world's oceans to be named as marine sanctuaries. Approximately 2.5 million square miles of ocean will be designated as "blue belt" territory, thanks to a new plan that will be rolled out by 2020. Human activities such as drilling, mining, tourism and fishing will be restricted in British territories, including the waters around the South Sandwich Islands, Pitcairn Islands, Ascension, Saint Helena, South Georgia and Tristan da Cunha. 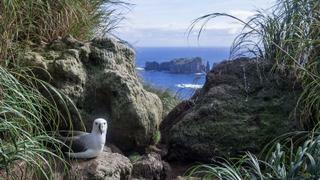 These areas contain a third of all albatrosses, the world's largest coral atoll, a quarter of the world's penguin population, crucial breeding grounds for endangered turtle species and the homes of a myriad of rare seabirds. A separate campaign is currently in motion calling for 30 per cent of the world's oceans to be named as marine sanctuaries. 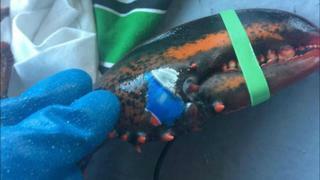 A Canadian fishing crew discovered a lobster that had an unmistakable Pepsi can logo 'tattooed' onto its claw. A variety of theories have been discussed since the discovery in November. It has been suggested that the lobster grew around a piece of debris on the ocean floor, or that a section of packaging was stuck to it for a long period of time. Karissa Lindstrand, who found the lobster in the water off Grand Manan, New Brunswick, noted that the image looked pixelated, like it had been printed, but any paper would have deteriorated in the ocean. Regardless of how the branded tattoo came to be, it fuelled already widespread concerns about the amount of litter being disposed of in the oceans. A Canadian fishing crew discovered a lobster that had an unmistakable Pepsi can logo 'tattooed' onto its claw. A variety of theories have been discussed since the discovery in November. It has been suggested that the lobster grew around a piece of debris on the ocean floor, or that a section of packaging was stuck to it for a long period of time. Karissa Lindstrand, who found the lobster in the water off Grand Manan, New Brunswick, noted that the image looked pixelated, like it had been printed, but any paper would have deteriorated in the ocean. Regardless of how the branded tattoo came to be, it fuelled already widespread concerns about the amount of litter being disposed of in the oceans. One of the most talked about television series of 2017, Blue Planet II shed some light on the extraordinary world beneath the ocean waves, though the clear message regarding pollution was impossible to ignore. 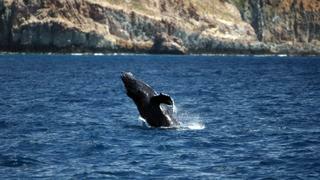 Rather than reprimanding viewers with guilt and hopelessness, success stories were highlighted – the reversal of overfishing off Norway through strict management, the increase in whale numbers since the hunting ban and the various ways in which turtles are being protected in the Caribbean. The more shocking scenes showed plastics being mulched down into toxic soups that spread across the globe and how the eight million tonnes of plastic waste produced annually can end up in the stomachs of baby fish and seabirds, but perhaps most horrifying tale was of a mother whale carrying her dead calf around for days after its demise due to plastic poisoning. Images like these have shaken the nation into action. UK environment secretary Michael Gove has said that he was "haunted" by the reality portrayed about plastic pollution and has already set in motion plans to improve the UK's ecological record. These are thought to include proposals for refundable deposits on plastic bottles, higher recycling rate targets and single-use plastic deterrents. One of the most talked about television series of 2017, Blue Planet II shed some light on the extraordinary world beneath the ocean waves, though the clear message regarding pollution was impossible to ignore. 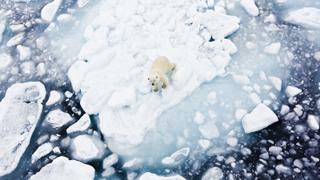 Rather than reprimanding viewers with guilt and hopelessness, success stories were highlighted – the reversal of overfishing off Norway through strict management, the increase in whale numbers since the hunting ban and the various ways in which turtles are being protected in the Caribbean. The more shocking scenes showed plastics being mulched down into toxic soups that spread across the globe and how the eight million tonnes of plastic waste produced annually can end up in the stomachs of baby fish and seabirds, but perhaps most horrifying tale was of a mother whale carrying her dead calf around for days after its demise due to plastic poisoning. Images like these have shaken the nation into action. UK environment secretary Michael Gove has said that he was "haunted" by the reality portrayed about plastic pollution and has already set in motion plans to improve the UK's ecological record. These are thought to include proposals for refundable deposits on plastic bottles, higher recycling rate targets and single-use plastic deterrents. All 193 members of the United Nations have agreed to start monitoring the amount of plastic that are disposed of in the ocean and to explore potential ways to make dumping waste into the ocean illegal. Currently, eight million tonnes of plastics are discarded into the ocean every year and it is not only harming wildlife but entering human food sources too – a new study found that those who consume seafood are ingesting up to 11,000 tiny pieces of plastic annually. After a recent microbead ban and the introduction of a plastic bag charge in the UK , the British government will now look at how its £13 billion foreign aid budget can be used to help protect marine life. Dubbed a global crisis by the WWF, plastic pollution could see more plastic in the sea than fish by 2050. All 193 members of the United Nations have agreed to start monitoring the amount of plastic that are disposed of in the ocean and to explore potential ways to make dumping waste into the ocean illegal. 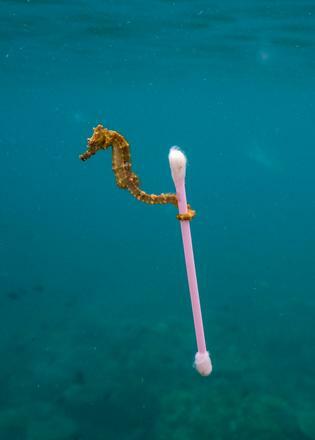 Currently, eight million tonnes of plastics are discarded into the ocean every year and it is not only harming wildlife but entering human food sources too – a new study found that those who consume seafood are ingesting up to 11,000 tiny pieces of plastic annually. After a recent microbead ban and the introduction of a plastic bag charge in the UK , the British government will now look at how its £13 billion foreign aid budget can be used to help protect marine life. Dubbed a global crisis by the WWF, plastic pollution could see more plastic in the sea than fish by 2050. The Revillagigedo archipelago, also known as the 'Galapagos of North America', will soon be at the heart of a massive new marine reserve, which will span 150,000 square kilometres. Additionally, the construction of new hotels and mining will be banned on the islands. These waters are home to hundreds of different animal and plant species, including giant rays, turtles, humpback whales and migratory birds. Local fish such as sierra and tuna have suffered in recent years due to overfishing, meaning a reserve area is crucial for allowing these fish to repopulate. Despite opposition from the commercial fishing industry, Mexico has joined other nations such as Chile, Tahiti and New Zealand in taking recent steps towards protecting marine life in their surrounding waters. The Revillagigedo archipelago, also known as the 'Galapagos of North America', will soon be at the heart of a massive new marine reserve, which will span 150,000 square kilometres. Additionally, the construction of new hotels and mining will be banned on the islands. These waters are home to hundreds of different animal and plant species, including giant rays, turtles, humpback whales and migratory birds. Local fish such as sierra and tuna have suffered in recent years due to overfishing, meaning a reserve area is crucial for allowing these fish to repopulate. Despite opposition from the commercial fishing industry, Mexico has joined other nations such as Chile, Tahiti and New Zealand in taking recent steps towards protecting marine life in their surrounding waters. 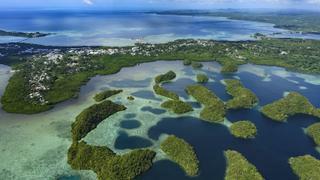 Those visiting the small island of Palau in the Pacific now have to sign a pledge to respect the local environment during their stay, in the hope that this will minimise the levels of ecological damage caused by an increase in tourism. Nearly 150,000 tourists were welcomed to the island last year, 70 per cent more than in recorded 2010. With just 20,000 native inhabitants, both the people and the infrastructure has been under great strain. The pledge will be stamped into guests' passports and must be signed prior to arrival. Many locals feel that it is a small but positive step towards changing the attitude of people visiting the island, so that they share the same respect for the ecosystem. Those visiting the small island of Palau in the Pacific now have to sign a pledge to respect the local environment during their stay, in the hope that this will minimise the levels of ecological damage caused by an increase in tourism. Nearly 150,000 tourists were welcomed to the island last year, 70 per cent more than in recorded 2010. With just 20,000 native inhabitants, both the people and the infrastructure has been under great strain. The pledge will be stamped into guests' passports and must be signed prior to arrival. Many locals feel that it is a small but positive step towards changing the attitude of people visiting the island, so that they share the same respect for the ecosystem. Earlier this year the Great Barrier Reef felt the hugely detrimental effects of the second major coral bleaching event to take place in two years. Studies show that the bleaching in 2016 and 2017 affected 93% of the 3,000 individual reefs and that 22% had been killed. 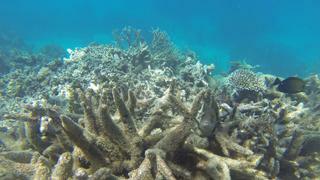 The reef was also felt the worst of Cyclone Debbie in March and continues to suffer under the plague of the Crown of Thorns starfish. Recent forecasts predict further bleaching will occur in February. Additional surveys have found that the warmer temperatures of the oceans have had a shocking impact on corals around the world – 60-90% of corals in the Maldives and 85% off Christmas Island have suffered, in addition the reefs of Japan and Borneo. Sir David Attenborough predicts said that due to the human maltreatment of the oceans, the Great Barrier Reef will be dead by 2100, saying that the world's oceans are "under threat now as never before." Caused by a combination of climate change, over-fishing, plastic pollution and carbon dioxide emissions, the rising water temperatures have had a devastating impact. Earlier this year the Great Barrier Reef felt the hugely detrimental effects of the second major coral bleaching event to take place in two years. Studies show that the bleaching in 2016 and 2017 affected 93% of the 3,000 individual reefs and that 22% had been killed. The reef was also felt the worst of Cyclone Debbie in March and continues to suffer under the plague of the Crown of Thorns starfish. Recent forecasts predict further bleaching will occur in February. Additional surveys have found that the warmer temperatures of the oceans have had a shocking impact on corals around the world – 60-90% of corals in the Maldives and 85% off Christmas Island have suffered, in addition the reefs of Japan and Borneo. Sir David Attenborough predicts said that due to the human maltreatment of the oceans, the Great Barrier Reef will be dead by 2100, saying that the world's oceans are "under threat now as never before." Caused by a combination of climate change, over-fishing, plastic pollution and carbon dioxide emissions, the rising water temperatures have had a devastating impact.